Many of my new recipes lately have been a direct result of my desire to continue Stretching my Chicken. This one is no exception. I found this recipe in an insert in a Rachael Ray magazine. Of course I had to change things up a bit as I just can’t leave well enough alone. I really like to try to lighten a recipe up as much as possible without compromising the taste too much. 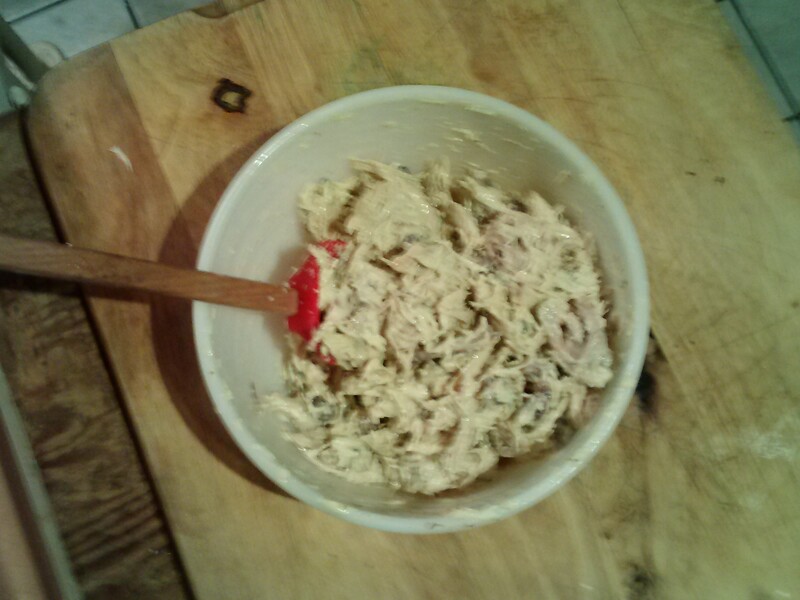 Again I swapped in Greek yogurt, reduced the amount of mayo and ever so painfully, reduced the amount of bacon called for in the original recipe. I did not get around to making rolls from scratch this time but sometimes, things have to give a little. So here it is, ridiculously simple and insanely delicious. 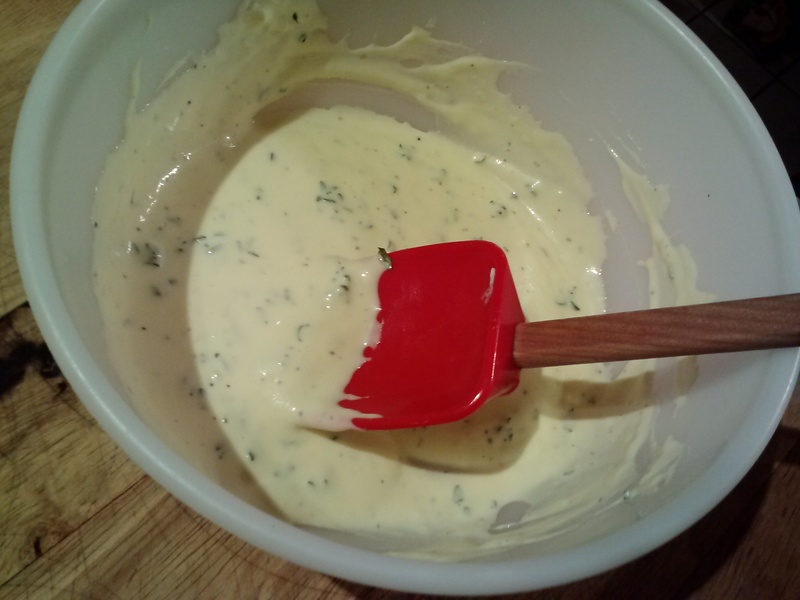 In a medium bowl stir together the yogurt, mayonnaise, thyme and garlic. 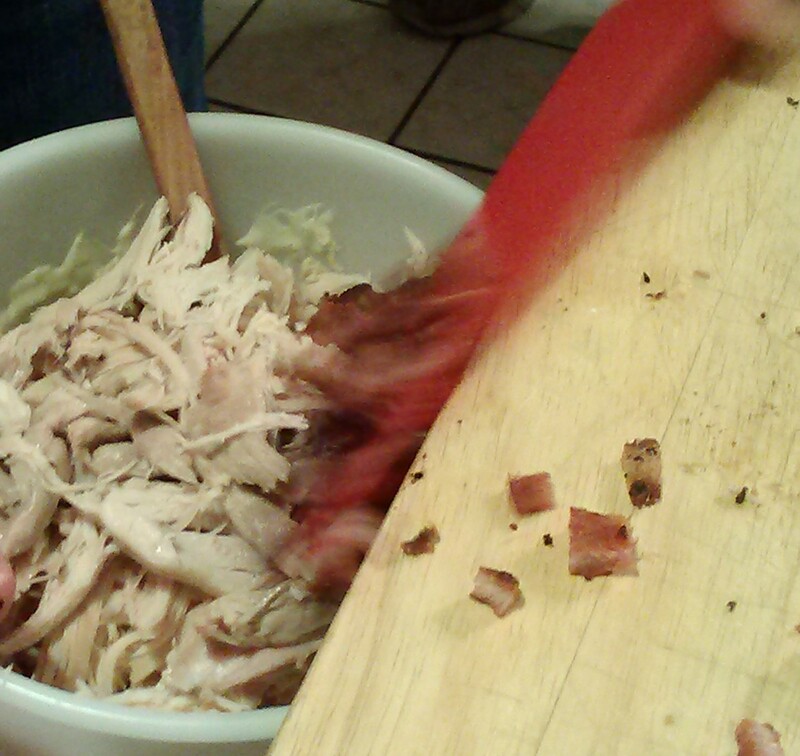 Stir in the chicken and bacon, season with pepper. 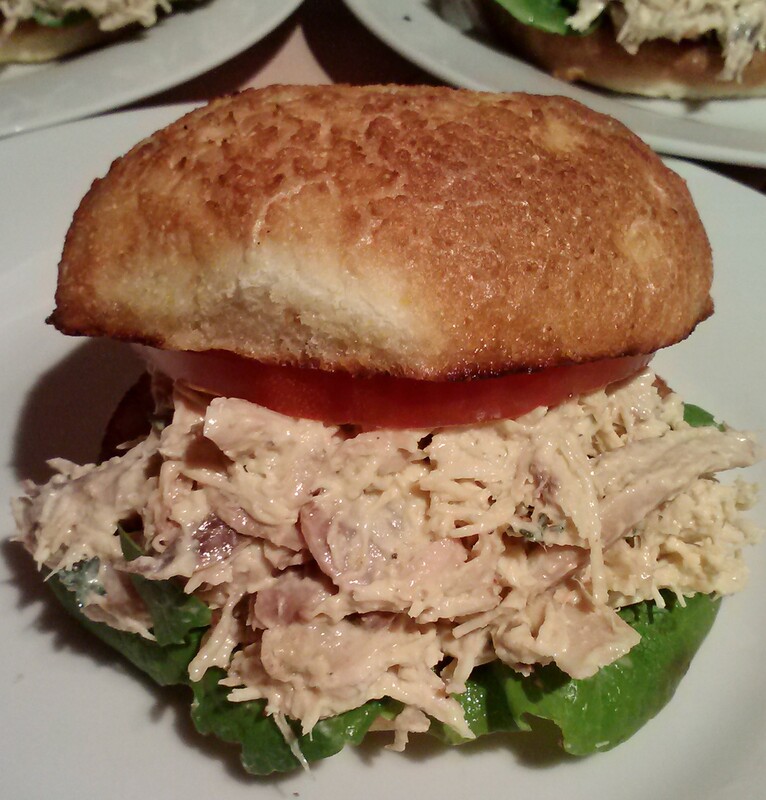 Place a lettuce leaf on the bottom of each roll, add a big dollop of the chicken salad and a slice of tomato. place roll top on. 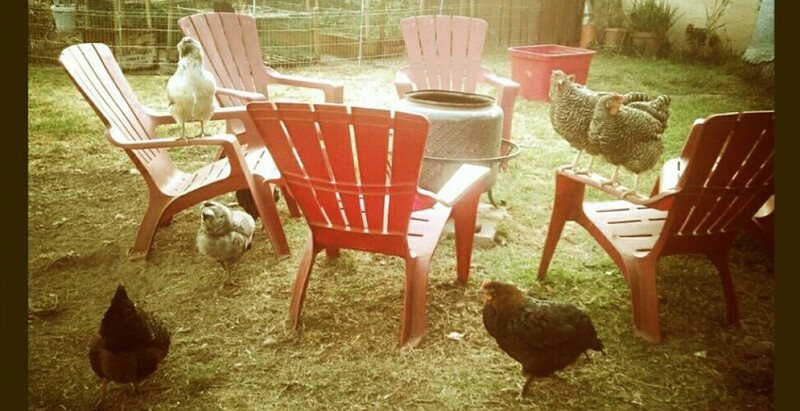 A family in the city learning to homestead with little space.